Left page for To Be Done, Appointments and Scheduled Events; right page for Diary and Work Record with numbered lines. Reference pages and page locator. 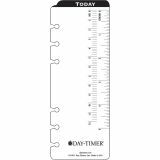 Day-Timer Reference Dated Two-Page-per-Day Organizer Refill, 3 3/4 x 6 3/4, 2019 - Refill is designed for use in Day-Timer planners with loose-leaf formats and relieves appointment overload. 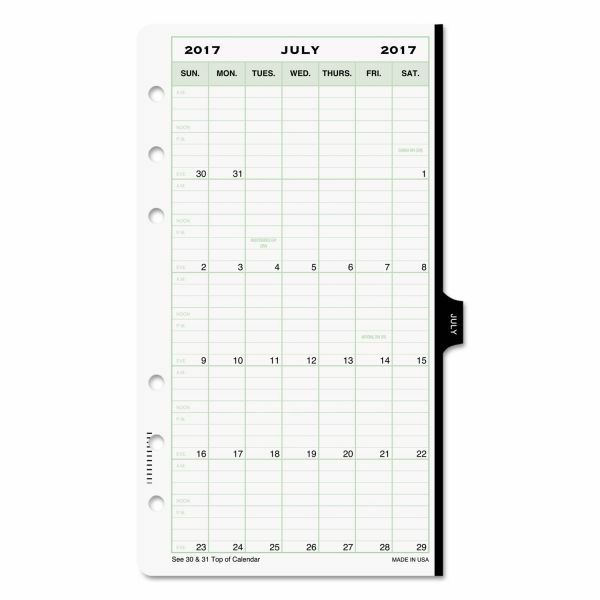 The two-page-per-day spreads provide space and flexibility for work records, projects, lists, expenses, and past, current and future months reference. Left-hand page includes your to-do list and a long daily schedule with hourly appointment times from 8 AM to 8 PM. Lines in the daily work record on the right-hand side are numbered 1 to 40 for easy cross-referencing. 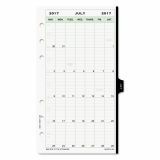 Refill includes address/phone pages, advance planning calendar, reference pages, 12 monthly tabbed dividers, expense forms, and a page locator. 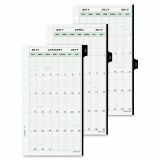 Calendar ranges 12 months from January to December. 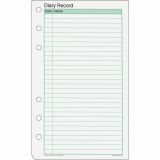 Space for Phone Calls & Expense/Reimbursement Record.